The Pacific Palisades’ Caruso construction project, called Palisades Village, filed with the city one day after the Archer project was approved by city council. Rick Caruso, owner of the Grove and Americana, bought nearly three acres of commercially zoned property on Swarthmore Avenue in November 2014 for his latest mix-used neighborhood project, start date is next Summer with ambitious, but unlikely, hopes to open late 2017. Making room for this high-end shopping, dining and entertainment center requires redevelopment; demolition of the existing buildings and surface parking lots followed by construction of nine new buildings (total floor area of approximately 116,215 sq. 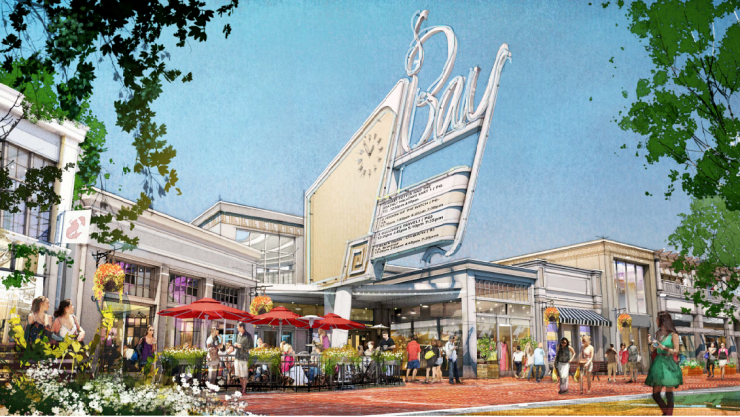 ft.) comprised of retail and restaurant uses, the revival of Bay Theater with five screens and approximately 300 seats, eight apartment units, a specialty grocery market, offices, and ancillary uses all connected by pedestrian walkways and paseos, landscaping, and open space. 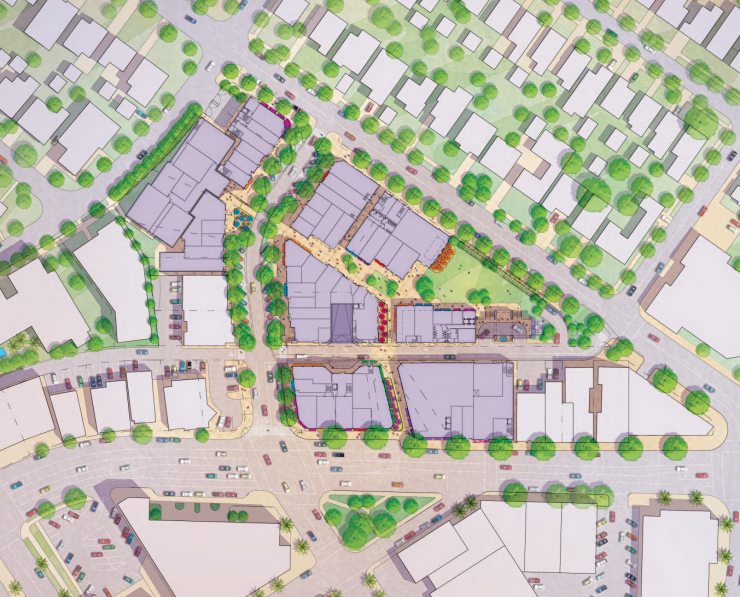 The project’s goal is to revitalize the declining heart of the Palisades and create a pedestrian-oriented neighborhood centerpiece, which residents seem cautiously optimistic about. Primary access to the Project would be from Sunset and Swarthmore.